Page from Artforum 11, no. 1 (September 1972). 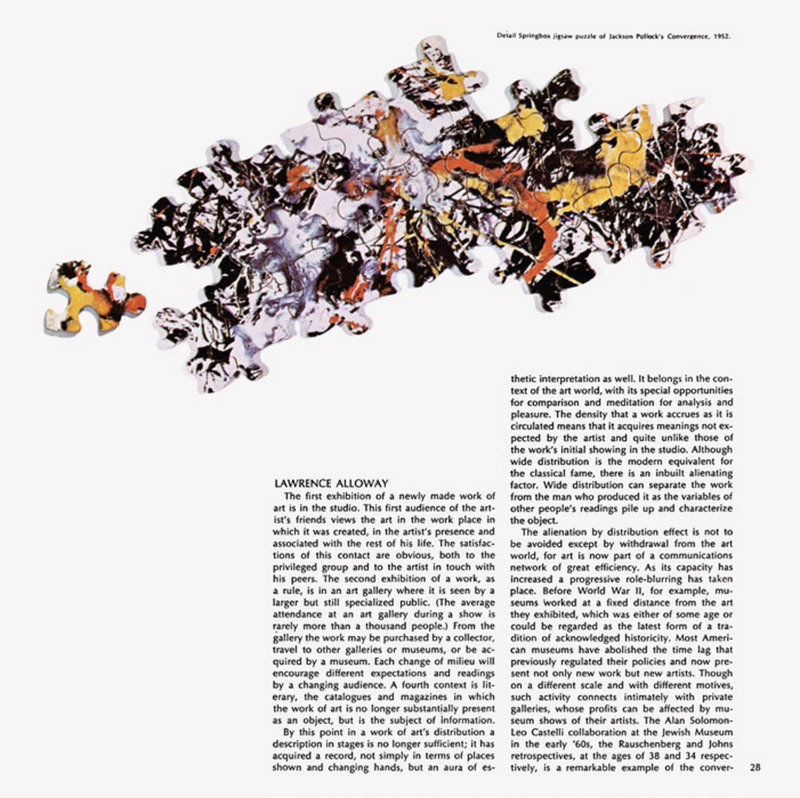 Lawrence Alloway, “Network: The Art World Described as a System.” Shown: Detail of jigsaw puzzle of Jackson Pollock’s Convergence, 1952.